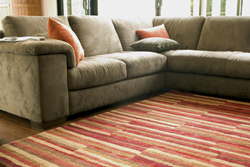 Dawsons Carpet Cleaning are experts in upholstery steam cleaning, including difficult to clean materials. We will ensure your upholstery is cleaned efficiently and thoroughly. Your upholstery is carefully inspected to provide the most effective and safest cleaning method to extend the life of your furnishings. Due to the natural oils in the human body plus the additional dirt & grime from food, pets etc. it can create unsightly staining to your upholstery and over time your upholstered furniture can look tired & dirty. Using a powerful, yet friendly steam cleaning method your upholstery can look like new again. The upholstery is checked for colour-fastness on an inconspicuous part of the lounge. If the technician feels there may be a problem with the type of fabric, the upholstery is then vacuumed thoroughly to remove as much dry soil as possible. The upholstery is pre-treated with an oil dissolving solvent to break up any built up oils & dirt. The upholstery is sprayed with a cleaning solution which is biodegradable and friendly for your family & pets. This is worked through the fabric by the means of a soft brush, cloth or hand depending on the type of fabric. The upholstery is now "hot water extracted" using a steam cleaning machine and a hand tool. The narrow nozzle of the hand tool ensures a concentrated vacuum that removes a lot of moisture and dirt resulting in fast drying times and a fresh clean piece of upholstery. 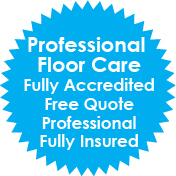 Contact us today on 1300 639 172 for an obligation free quote on any of our professional services.